Tan/Neutral Cloth. 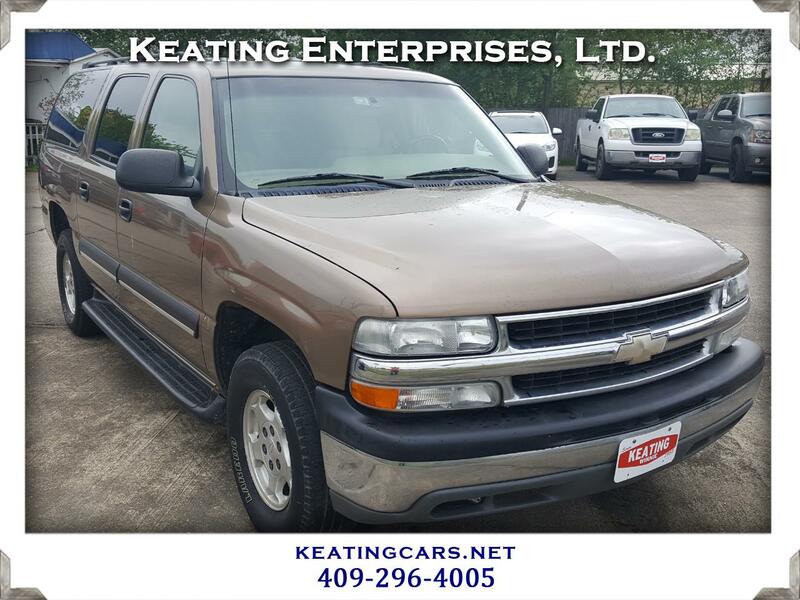 Sandalwood Metallic 2004 Chevrolet Suburban 1500 LS RWD 4-Speed Automatic with Overdrive Vortec 5.3L V8 SFI Flex Fuel Odometer is 32670 miles below market average! Visit Keating Enterprises, Ltd. Online at keatingcars.com to see more pictures of this vehicle or call us at 409-296-4005 today to schedule your test drive.